I asked my friend Paris to share her recipe for Vanishing Vegan Oatmeal Blueberry Craisin Cookies with us this week. Doesn't it sound amazing? I had never heard of blueberry juice infused dried cranberries before...but leave it to Paris to find something unique and delicious--as well as healthy--like this. Paris and I have been friends since 6th grade, and through the years, Facebook and our blogs have kept us in touch with each other. She was actually my inspiration to begin a blog in the first place! 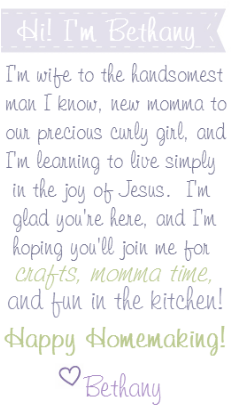 I love reading about her sweet little family, and getting new ideas for healthful living. Don't miss the opportunity to visit Paris at Bless My Nest and say hello! Hello everyone! 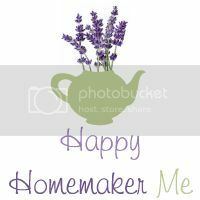 My name is Paris and I'm the author of Bless My Nest, where I blog my favorite recipes, all tried and true. I have been happily married to my husband David for almost 6 years, and I'm a stay at home Mama to our son James who will be 3 in May! I spend my days coming up with fun ways to entertain our little guy, meal planning, doing laundry, making nourishing meals for our family and keeping our home relatively clean as well. It's a sometimes challenging, but altogether wonderful life! I'm so glad Bethany asked me to participate in her Happy Home Baking series and can't wait to share this yummy recipe with you! Enjoy, and Merry Christmas to you and yours!! 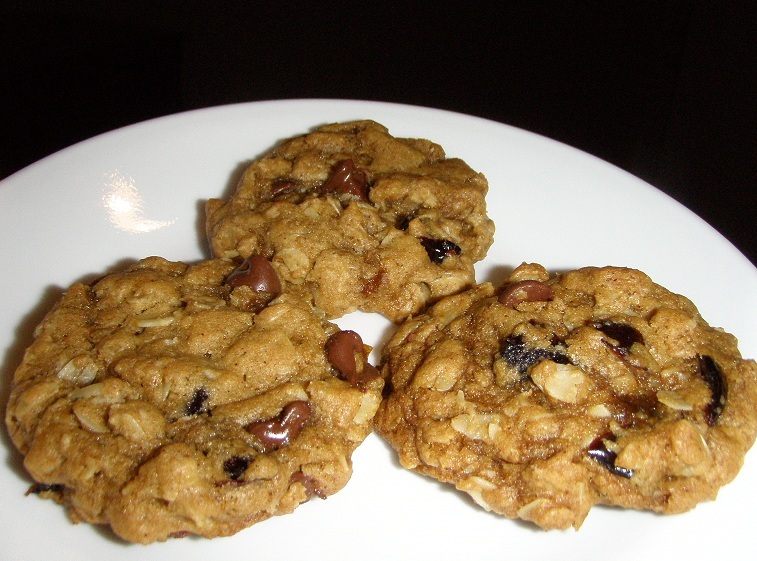 My husband and I came up with this recipe on a whim, as an adaptation to the traditional oatmeal raisin cookie. The combination of oats, sugar, blueberry, cranberry and dark chocolate is incredible. The recipe is Vegan, and it was actually our first attempt at baking Vegan cookies. I love using flax as an egg replacer, and while I was nervous as to how it would work out in this recipe at first, the final results scream success! Even if you're not Vegan, try using a flax egg! Flax is wonderful for you! Learn more about how great flax is here . Beat together Earth Balance and sugars until creamy. Add flax egg and vanilla and beat well. Mix flour, baking soda, cinnamon and salt until well blended. Add to the sugar mixture and mix well. Stir in oats, Craisins and chocolate chips and mix well. Drop by rounded tablespoonfuls onto an ungreased cookie sheet. The best thing about baking Vegan is feeling 100% carefree while your little one licks the beaters.